Learn the basics and much more. 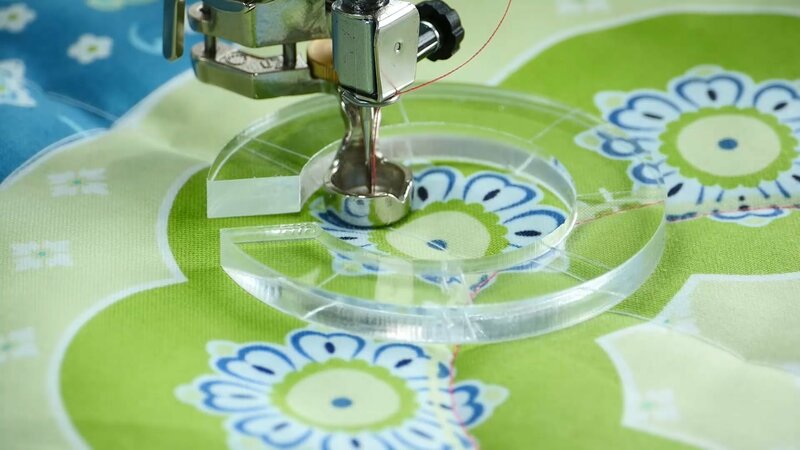 Learn how to set up your sewing machine and the ruler foot adjustments, what needles to use, what threads to use, how to prepare your quilt and then we will stitch out several designs on a lovely panel by Amanda Murphy. You will get lots of practice using in the Sew Steady (Westalee) Start Set. There are two starter sets to choose from. One includes all the basic rulers, a crosshair template (very useful), a book and a measuring gauge. The other kit does not include the crosshair template, the measuring gauge, book or a straight ruler, but otherwise has the same rulers. Students will need to purchase various supplies to get started. # Bernina machines use high shank or long arm rulers. Other sewing machines may have their own ruler foot or attachments are available. Check your manual to see if you have a high or low shank machine. A ruler work presser foot and Ruler Template Sampler Set ( Be sure to get the correct rulers for your machine) High or low Shank. All Bernina's are Bernina #72 ruler foot It is also MUCH easier to quilt using a Sew Steady Table for your machine. This is an item we can special order for you. You can get 15% off the table and free shipping with your order.